I don't know why this book is being marketed as a dystopian novel. It's not. It's a romance, plain a simple. The dystopian aspect is so tiny in regards to plot. So very, very small. Which is a shame, because I was really hoping The Elite would touch on it more than The Selection did. I find the rebels to be extremely appealing and want to know more about it/have more interaction with them. Maybe then, the "dystopian" label wouldn't bug me so much. As for the romance... 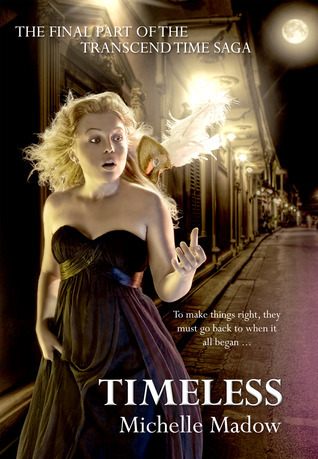 I was already annoyed by page 8 when America asked both Maxon and Aspen for "time." It didn't stop there either. She spent a majority of the novel going back and forth between the two. Maxon pissed her off, so Aspen was the love of her life. Aspen pissed her off, so Maxon was the love of her life. *sigh* America herself was also prone to temper tantrums. If she didn't get her way she would act extremely immature and do things because she was feeling petty and wronged. 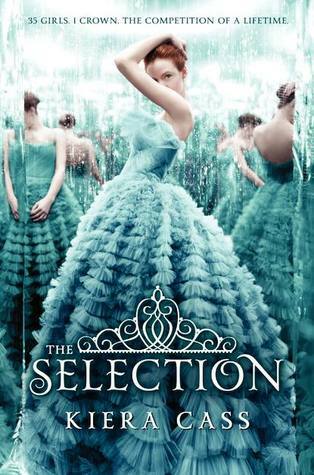 This isn't the America from The Selection. That America did things because they needed to be done and they were the right things to say/do. The Elite America is a shadow of this America and it's sad. Remember how much America mentioned her family during The Selection? Not so much here. Mere lines. 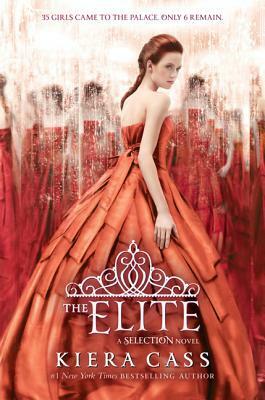 Maxon is keeping women around for the wrong reasons and I'm not even going to go into the rant about Celeste that I want to because it was be a spoiler, but those of you who have read this book, I'm sure you know exactly which scene I am talking about. *puke* Not even I can blame America for being livid at that one. One of my biggest issues is when America saw the reprecutions of what happened if you "hooked up" with somebody while being a part of the Selection. What is her response (aside from being horrified)? She still sneaks around with Aspen. Not. Kidding. She's devastated by what happened to this girl but still risks everything - literally - to hang out with him in secret. On top of that, Aspen still plays a relatively minor role in The Elite. He pops up every now and then, and I know he's a point in our triangle but I'm not seeing the attraction to him. Usually in a love triangle I see enough of both guys to understand, but not here. Probably one of the reasons I'm so Team Maxon. My heart can at least be tugged into the direction of the other guy, but I don't care for Aspen... not even a little bit. This plot element seems almost like a crutch rather than a significant aspect of the story. Something to help fill in plot where it's needed, but not really helping to move it along. I know I've been completely bashing the book, but regardless of that, it still held my attention. I still read 3/4 of it in a day. I'm rooting for Maxon and America, despite how much I want to occasionally punch both of them in the face. At one point Maxon tells America (why do I keep typing American?) that she can't keep acting the way she is and not expect any consequences, to which she informed him of the same. I was like "Yes, maturity!" So they have their moments. Despite all these things, I did enjoy the book. I want to continue with The One when it comes out. I want to see how this trilogy ends. I want America to tell Aspen "Sorry, buddy" and end up with Maxon. They're weirdly perfect for each other and together I think they could really turn Illea around. I want The One to focus a little less on relationship drama and the rebels. I want to find out what the Northerners are looking for - because Maxon is right on that point - and why the Southerners are so angry - other than the obvious.